Q: How far from the slopes would we be? Q: We would not all be skiing together so how would we get back and forth to our hotel or chalet if skiing in different areas? 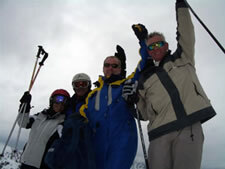 Q: You say you provide a 5 Lift Pass for use at the slopes designated by instructor! Some of us are already BASI 111 and we would not want to ski with an instructor. Does the lift pass cover the whole area? If not what would be the cost? A: There is no unified lift pass system in Zakopane. There are separate lift passes for each individual area. This means it is not possible to have a single lift pass which covers all areas. LIft passes also work on a "pay as you go" points based system. Q: Most do not require equipment rental – is there any refund? A: Yes we offer a £25 discount if you have your own equipment. Q: Which airport and which airlines fly in? Q: Are there many ski in/ ski out hotels and chalets in Zakopane? 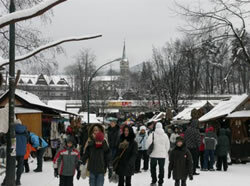 A: The layout of Zakopane is not really a ski in/ ski out layout. There is a large town where the majority of the hotels, chalets and general action lie surrounded by various ski areas AROUND the town. This is one of the primary reasons why transport to and from accommodation is included in all of our packages. There are major advantages to this of course as there are many ski in ski out chalets around the world which are ONLY convenient for starting your day of skiing and are decidedly inconvenient for apres ski, accessing the nearest town etc etc. Q: How far is Zakopane from the nearest international airport? A: Krakow Balice airport (recommended) is just 108km away and Katowice Pyrzowice airport (Often referred to as "Katowice Krakow" which is a little misleading - not recommended if it can be avoided) is roughly 150km away from Zakopane. There is a new route form Luton to Poprad (SK). The transfer time from Poprad to Zakopane is approximately 1 our 30 minutes. Q: Do we choose the chalet and if so which would you recommend? A: Subject to availability you can choose where you would like to stay. For the chalet standard I'd recommend Villa Karpinski which is walking distance to the Zakopane restaurants for the evening but also offers a breakfast and dinner option. Q: Would we be sharing a family room or would it be separate double rooms? A: Subject to availability we could offer you a 4 person family room or a double and a twin room. All rooms at Villa Karpinski are en suite with private bathroom. A: Most of our chalets and hotels are within 5-15 minutes walking distance from Zakopane town centre. Q: With the ski equipment what is included? A: Skis, poles, boots/ snowboards and boots. Clothing is not included. Q: The transport to the slopes, is that at a set time up and back once a day or can you choose what time to go and return? A: Transport is at a set time- Usually pick up from the chalets/ hotels is around 10am (can vary) and returning from the slopes is usually between 4pm and 6pm. We can organise an extra transport for you at a different time at extra cost. A: We have a standard departure and return time usually around 10am departure and around 5pm return. The slopes are between 5 - 45 minutes away. Most slopes are between 5-10 minutes drive with only Bialka Tatrzanska (a really family friendly ski area with a full range of ski runs of all difficulties) being between 30 to 45 minutes away depending on traffic. Q: Would the package be suitable for a couple in their mid 30s who have never skied before? My husband and I are definitely interested, though we may be able to rope a few friends in too. Q: What is the tuition like (min 1 hour per day)? I guess we should take a few lessons at Milton Keynes before we go? A: All our coaching is tailored to ensure that we meet the needs of each individual. If someone is shy or struggling for example we shall always ensure (at our own discretion and based on our instructors' judgment) that we offer complimentary one on one coaching until we are sure that each guest has more than enough skills to practice safely and independently until the next days coaching session. Lessons at the Snowzone at Milton Keynes or on a dry slope will of course be beneficial and allow you to progress faster during your holiday but it's not essential as we cater very carefully and attentively to the needs and safety of first time skiers and first time snowboarders. Q: What is Zakopane like at night? We like a beer in the evening – but will we stick out like a pair of old fogies? A: Zakopane is all kinds of awesome for Apres ski. There is everything available, from a nice meal in a quality restaurant followed by bowling, pool and even a virtual golf simulator in your own private bar at the Belvedere**** Resort and Spa, to a choice of over 50 bars and pubs and 9 nightclubs. All ages are welcome and the atmosphere is generally very friendly and light hearted around town. Q: Have we missed the boat on the £375 deal? We are thinking a week at the end of January 2010 – what would be the best price? A: For our best prices and to secure the best rooms in the best chalets and hotels it is essential to book as early as possible. As a basic rule of thumb at Sunshine World as with most tour operators the earlier you book (and the bigger your group) the cheaper it will be and the smaller the deposit we will require to secure your rooms.